Last night was a tough one to swallow. 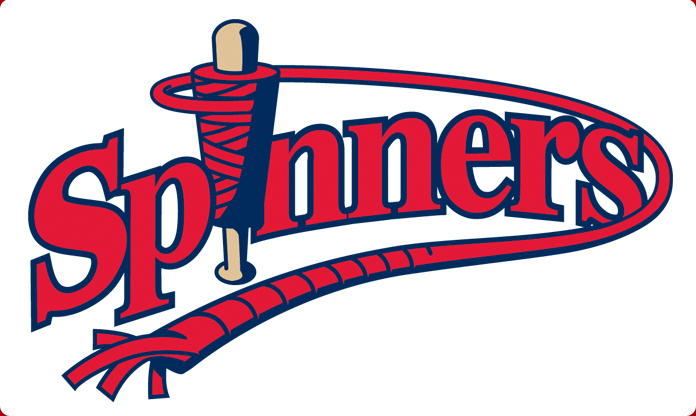 The Spinners (2-1) suffered their first loss of the young season after leading 5-0 midway through the game. The Tri-City ValleyCats (4-0) stormed back to tie the game and send it to extra innings, where they won 8-5 in 11. Tonight, Jamie Callahan makes his Lowell debut on the mound. Callahan is a big righty, drafted out of Dillon (S.C.) High School, who is expected to do big things for the Red Sox organization. All three starting pitchers (Sergio Gomez, Mario Alcantara and Simon Merecedes) thus far have gotten off to real strong starts. None have allowed a run and they’ve combined to strike out 16 batters, walk two and allowed six hits total. Offensively, the Spinners have seen big nights at the plate from left fielder Kendrick Perkins and designated hitter Kevin Mager. Perkins was 4-for-4 with three RBI in the home opener. Mager went 4-for-5 last night with a pair of runs batted in, boosting his batting average to a team-leading .500. Come on out tonight as we have a Perkins poster giveaway to the first 1,000 fans and we also have post-game fireworks for the second time in three nights! Hope to see you at LeLacheur Park, if not tonight, sometime in the near future! GO SPINNERS!